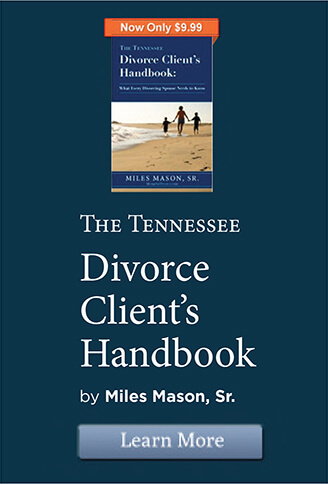 Article by Memphis, Tennessee divorce lawyer Miles Mason, Sr. originally published in the American Bar Association Family Law Section’s quarterly magazine to its 10,000 members, the ”Family Advocate” in its Summer 2012 edition. Reprinted by permission of the American Bar Association. 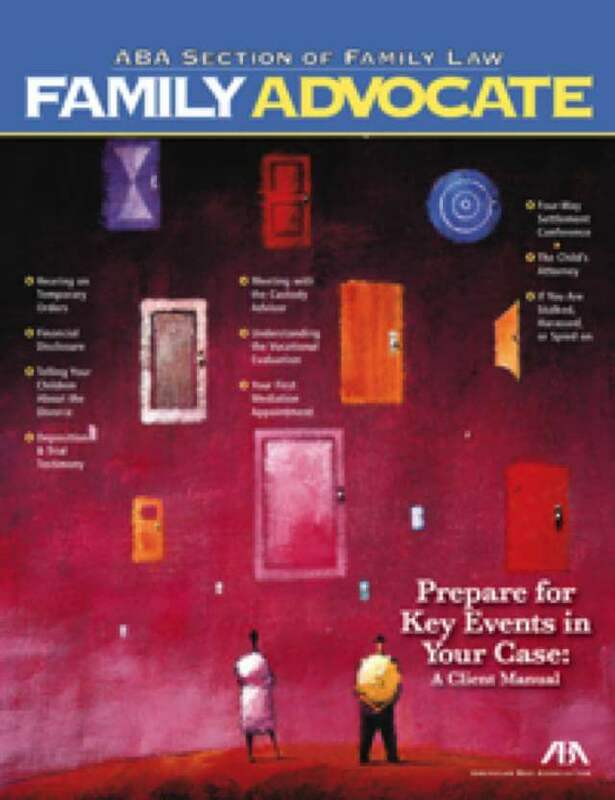 Copyright 2012 ABA Family Law Section and Miles Mason, Sr. Citation: “Grab the Documents” 35 Family Advocate, 1 (Summer 2012). Documents are the lifeblood of divorces. Every day, spouses make choices. Those choices are documented in credit card statements, bank statements, tax returns, and many other records. Unless altered, documents don’t lie. Documents tell the tale of those choices and are objective witnesses. Your family law attorney will need the documents listed below to adequately represent you in your divorce. Before assets and debts can be divided, they first must be identified, classified, and valued. Classification means determining what is separate property and what is marital or community property. In determining spousal and child support, courts look at what the obligor spouse (the one who must pay) earns, and that analysis depends in large part on what the spouse’s earnings history has been. Your spouse’s income history may be reflected in the many pieces of paper gathering dust in closets and manila file folders. When lawyers say “documents,” they mean the paper copies (or “hard copies”), the electronic versions, or both. Today, almost all scanned documents will be in Adobe Acrobat’s “PDF” format. For example, bank statements can be mailed to you, or you may download them online, usually in a PDF format. But personal financial management programs, such as Quicken or Quickbooks, may generate reports of monthly income and expenses. These reports may be printed on paper or stored in a PDF format. Your lawyer may prefer to have the electronic versions of these files, and he or she may even ask you to obtain a copy of the entire personal finance software program as well. If you can easily obtain the hard copies and the electronic copies, get both. Save the electronic versions of the documents to a thumb drive, burn them to a CD, or e-mail them to your lawyer. Because making copies of voluminous documents can be costly, you may want to avoid copying. However, skip photocopying only if you are absolutely sure that the electronic versions are exactly the same. Talk with your lawyer about who should make the copies, handle the scanning, and/or organize the documents. To save money, some lawyers encourage clients to copy and organize documents themselves. Other family law attorneys will perform these tasks in order to handle them within their own document management system. Who copies, scans, and organizes documents often depends on the size of the estate and the complexity of the disputed issues. Once assembled, take the documents to your lawyer. Some clients wait too long, accumulating as many document as they can, before they bring in anything. The next thing they know, weeks have gone by. Don’t be afraid to grab a bunch of documents, throw them into a box, and bring them to your lawyer’s office. You can always make more than one trip. In some cases, lawyers may only want a copy (or scan) of the documents and ask you to replace them quickly so that your spouse does not miss them. Speed is important. Some documents contain important information that may not be apparent when you first locate the document. Dates, times, places, amounts, payees, and other details may become terribly important later in the case. The values of assets at the time of marriage also may be important, especially if the marital or community property to be divided includes appreciation of separate property. Depending on your state’s law, figuring out what amount is separate property may depend on the value of an asset as of the date of marriage, the date it was received in inheritance, or the date it was received as a gift. This means you may need documents going back in time as far as the date of the marriage. For major documents, such as financial statements, tax returns, and brokerage account statements, you may want every single page you can put your hands on. For other documents, such as those concerning a major acquisition of a business interest seven years ago, you may want documents going back around eight years. For less valuable assets and debts, only three to five years’ worth may be needed. It just depends. When in doubt, copy it. But before going to a great deal of expense or effort, talk with your lawyer. Getting the right answer to a quick question can save time and money. Memories fade with time. One particular number or date on one particular page among thousands can become very important if it validates your testimony or contradicts your spouse’s testimony. In divorce, credibility is one of the most important aspects of any case. Once a judge determines a spouse’s statements can’t be trusted, recovering credibility can be very difficult. You may need to print or download online banking and brokerage accounts from the Internet. If so, you may need a login and password. If you don’t know them and your name is on the account, call the bank or brokerage firm and ask for help. If your spouse is a buddy of the banker or stockbroker, you may want to talk with your lawyer before calling to obtain that login information. Sometimes, a call for login help and passwords can tip off the other spouse that a divorce is imminent. Bring to your lawyer any information or documents that are potentially damaging to your case. Some clients pray the other spouse won’t find a “smoking gun” document and go to great lengths to hide the document amidst a mass of other documentation or simply won’t produce it. This is a mistake. If you produce five years of credit card statements, hoping to bury one embarrassing statement in a stack of documents, the opposing attorney will almost always find it. Likewise, if you omit a particularly damaging statement, the missing page may stick out like a sore thumb. If that page eventually gets discovered and turns out to list charges for an out-of-town trip with a previously undisclosed paramour, your own lawyer can be blindsided in negotiations or, worse, in court in front of the judge. Active concealment of documents—from your own attorney, as well as from the other side—can destroy your credibility. Many experienced family law attorneys will tell their clients to assume that the other spouse will find out everything and, thus, clients need to share with their lawyer everything damaging to the case. 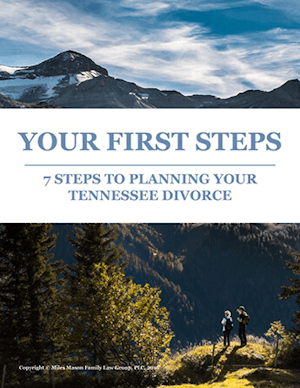 Only careful planning with your attorney can safeguard your credibility with the judge and minimize any potential embarrassment and/or financial costs of the divorce. Following is a list of documents to obtain. Your spouse may receive similar instructions from his or her own lawyer. If a particular document is not listed below, but looks important, include it anyway. Always better to be safe than sorry. 1. Financial statements. Financial statements are submitted to banks and lending institutions to document the borrower’s ability to pay back a loan. “Financial statements” is a general term describing statements of net worth, balance sheets, profit-and-loss statements, income statements, and statements of cash flow. 2. Income tax returns. Obtain as many personal, corporate, partnership, joint venture, or other income tax returns, state and federal, including W-2s, 1099s, K-1 forms, and supporting schedules, for as many years of the marriage as possible. If a business is involved, also try to obtain corporate tax returns and personal property tax returns filed at any time throughout the marriage. Supporting documents are important too. These may be attachments, receipts, or schedules, such as depreciation schedules. 3. Pay statements. Pay stubs often show bonuses, commissions, overtime, retirement benefits, and contributions to 401(k) plans. A prior year’s final pay stub can be a great source of income detail. Pay stubs showing earnings year-to-date will be needed periodically throughout the case. 4. Bank account information. Copy all monthly bank statements, check stubs or registers, deposit slips, and canceled checks for all personal and business accounts, certificates of deposit, and money market accounts from banks, savings and loans, and credit unions. 5. Brokerage account statements. Obtain all statements from brokerage and investment accounts held individually, jointly, or as a trustee or guardian. These accounts typically include stocks, bonds, CDs, and mutual funds. Also, let your lawyer know if you or your spouse possess physical stock certificates or bonds. 6. Loan applications. For all mortgages, second mortgages, home equity lines of credit (HELOCs), credit cards, lines of credit, car loans, and promissory notes, loan applications may include personal and business financial statements showing assets, debts, and income declarations. Because often business owners are personally liable for business debts, you will want to copy any other documents showing why the debt was incurred. 7. Business ownership records. For corporations,findallrecords indicating ownership interest, such as stock certificates, charters, and corporate minutes. For partnerships and limited partnerships, look for any documents titled or captioned as an “agreement.” For limited liability companies, search for operating agreements. For “trusts” or “joint venture agreements,” those words may be in the titles or headings of key documents. Know that, for any type of business or trust, the documents may be titled or headed using many different combinations of words. If you think your spouse owns part of a business, even a small part, tell your lawyer. 8. Resumes. Resumes for you and your spouse can be very important if one or both spouses are not earning as much money as in the past or are voluntarily underemployed or unemployed. 9. Internet history, e-mails, and instant messaging records. The Internet has made divorces more complicated. If you suspect your spouse has cheated, computer records on the family computer should be one of the first places investigated. Forget investigators taking photos at a hotel, the latest trends are copying hard drives and e-spying. From experience, your lawyer can tell you that e-mail and Internet passwords are never as secure as they seem. Never assume that pressing “delete” actually removes the electronic record. When in doubt, consult with an electronics evidence expert. To the extent you already have them, bring your lawyer any electronically stored documents or files, e-mails, or Internet page history printouts. But never hack into your spouse’s computer. Also, never add spyware to any computer. Doing either may be a crime. 10. Stock options. Many spouses have stock options related to employment as an incentive or part of a compensation package. Some stock options can be extremely valuable. To determine the value of stock options, you may need certain records that are only available through your spouse’s employer. However, some important documentation may be in your possession or your spouse’s. To the extent possible, make copies of detailed plan descriptions or plan summaries; benefit statements; employment contracts; schedules of vested and unvested granted stock options listing numbers of options, exercise dates, exercise prices, expiration dates, and vesting dates; and all company-provided information, such as employment manuals, brochures, handbooks, and memoranda describing or detailing stock options and employees’ rights to benefits, including reload and replacement provisions. • Booklets, pamphlets, information sheets, or other written materials distributed by the plan or the plan sponsor to employees or participants concerning rights to plan benefits, types and forms of benefits, and options and elections under any plan. 12. Credit card statements. For all credit card accounts, provide your lawyer with copies of all statements and receipts. If there are many, just throw them into a bag. Your lawyer can go through them later, if necessary. If any of the credit cards are issued for your spouse’s business use, tell your lawyer. You may be able to obtain records for those accounts directly from the employer. Also, look for copies of business-expense reimbursement forms. Sometimes charges associated with boyfriend or girlfriend expenses are placed on business credit cards in an effort to hide them, regardless of whether the amount is likely to be reimbursed by the employer. 13. Other debts. Bringdocuments reflecting all remaining debts and accounts owed by you or your spouse, secured and unsecured, including student and personal loans. Your lawyer will need proof showing the name of the debtor and/or creditors, the date each debt was incurred, the total amount of the debt, and the unpaid balance. Dividing debts can be as important as dividing assets. 14. Insurance. Your lawyer needs copies of all insurancepolicies, including, but not limited to, life, annuity, health, accident, homeowner’s, renter’s, casualty, motor vehicle of any kind, property, or premises liability insurance. Also, many policies have separate “declaration pages” listing the specific names of owners, beneficiaries, and key financial information. Finally, make sure to obtain recent statements showing balances and premiums due. These statements generally are issued monthly, quarterly, or annually. If appraisals have been obtained to insure valuables under a homeowner’s insurance policy, copy those as well. 15. Real estate. Pull all real estate deeds, closing statements, tax bills, appraisals, mortgages, security agreements, leases, and other evidence of any type of interest or ownership in real estate, whether as owner, co-owner, fiduciary, trust beneficiary (vested or contingent), partner, limited partner, shareholder, joint venture participant, mortgagee, developer, manager, or otherwise. 16. Personal property or “stuff.” Assemble all invoices, receipts, contracts, and appraisals on all personal property worth enough to worry with, including furniture, fixtures, furnishings, equipment, antiques, and any type of collections. This includes cars, RVs, motorcycles, boats, and jet skis. For all motor vehicles and watercraft, you need titles, invoices, purchase orders, contracts, loan applications, appraisals, lease agreements, registrations, and payment books. Later, your lawyer may want photos of valuable or other important assets, such as antiques, china, crystal, jewelry, or artwork. 17. Employment records, contracts, and explanations of benefits. Many employees have some form of employment agreement or contract, even if it is not formally labeled as such. It may just be a letter. Your lawyer will likely need documentation of compensation, including bonuses, commissions, raises, promotions, expense accounts, and other benefits or deductions of any kind. If you can get an employment handbook or manual, copy that too. 18. Wills, living wills, powers of attorney, and trust agreements. Whether they were executed by you or your spouse, pull together all records of wills, living wills, powers of attorney, and trust agreements or declarations, as well as copies of all statements, receipts, disbursements, investments, and related transactions. Powers of attorney are special documents that may allow a person to act legally on behalf of another. They can be very dangerous in a divorce. If you even suspect you have signed a power of attorney, tell your lawyer. You may need to revoke it immediately. 19. Membership agreements or contracts. For all country clubs, private clubs, associations, or fraternal organizations you and/or your spouse belonged to during the marriage, assemble all membership agreements and monthly dues statements. 20. Lawsuits and judgments. Give your lawyer copies of all pleadings in any legal actions to which you or your spouse has been a party, including bankruptcies and prior divorces. 21. Gifts and charitable contributions. Include all records pertaining to gifts of any kind. For charitable giving, income tax returns likely have the necessary information. But if either spouse has made nondeductible gifts, pull that documentation, too. Include gift tax returns. 22. Medical records. If you or your spouse hasa serious medical condition that limits or prevents employment, your lawyer may need records documenting the diagnosis, the names of treating physicians, evaluation reports, and prescriptions for medical, psychiatric, or psychological treatments. 23. Cellular phone, home telephone, and long-distance charges. For all telephone lines, detailed records of calls could be important, so grab them. If you have the ability to research outgoing and incoming phone numbers over the Internet, do it, and print out those records for as far back in time as possible. Even if you think you will never need them, you might. 24. Inventory of safe deposit boxes or in-home safes. Not many people keep a written inventory of safe deposit boxes or in-home safes. But if you have one, copy it. If you can easily make an inventory, do it. Go to the bank, and see what’s there. 25. Tapes, letters, e-mails, and photos. Never tape a telephone conversation unless you talk with your lawyer first. If you have done so already, tell your lawyer. Gather all recordings, written letters, notes, and e-mails between you and your spouse. If you think a particular photo may be important, bring it, too. 26. Notes or agreements. If you and your spouse ever discussed divorce and any notes were taken, they can be important. Were any promises made? Promises broken? Have you ever signed any legal documents you didn’t understand? If you kept copies, take them to your lawyer. 27. Calendars. Personal or business calendars are among the documents you won’t know you’ll need until and unless the case becomes contested. So copy them, just in case. Include calendars stored in computerized organizers, smart phones, personal daily assistants, and daily planners. You may also want to investigate some of the entries. For example, you may want to research a reference to a credit card charge for Victoria’s Secret from two years ago. 28. Intellectual property. If your spouse ever talked about receiving royalties from patents, trademarks, copyrights, trade secrets, or other intellectual property rights, tell your lawyer. Any records regarding intellectual property and its development, submission, purchase, sale, and royalties can be very important. 29. Fault. Give your lawyer any paper, letter, note, e-mail, or card describing or evidencing your spouse’s fault in causing an end to the marriage. This is why you kept your spouse’s “please, forgive me” e-mail. Or if you wrote one, your lawyer will want to read it, too. If you have children, obtain the following documents, notes, and other valuable records immediately. Even if there appears to be no dispute now, one may arise later. It is smart planning to have a copy of these documents in your lawyer’s file. 1. Report cards and notes. Report cards and teacher’s notes from parent-teacher conferences can be important. 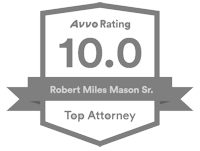 Your family lawyer may want to determine trends of improvement or decline in your children’s grades. 2. Cards, drawings, and sample photos. Children sometimes show love, affection, and emotional ties in their art or schoolwork. If you’ve saved some, a quick look through them may be worth the effort. A handful of photos of the children enjoying daily living with you is always good to have, too. Plus, in the courtroom, photos can demonstrate a level of happiness, stability, and normality that oral testimony just can’t match. If the kitchen, bathroom, living room, and children’s bedrooms are clean, those photos can be used to defend against a claim by the other parent that the kids’ living area is unsanitary or filthy. 3. Primary caregiver. Which parent has been the children’s primary caregiver? Any document or item showing that you provided the children with food, clothing, medical care, education, and other necessaries more often than your spouse can be important if he or she is claiming to be the primary caregiver. This can include anything from notes setting regular dental appointments to evidence of scheduling and driving the children to a tutor. Think about all of the other boring, but necessary, day-to-day parenting you provide–but that is so often taken for granted. 4. Continuity, stability, and community records. Your lawyer needs any document or item showing the importance of continuity in your children’s lives and the length of time they have lived in a stable and satisfactory environment. Copy any documents or records of the children’s home environment, school activities, and community involvement. Include pictures of trophies or awards resulting from academic achievement, sports, church activities, or scouting. 5. Preference. Copy any document showing the reasonable preference of the children to live with one parent or the other. Ask your lawyer about your state law. Depending on the age of the children and your particular judge, this may or may not matter. 6. Abuse. Assemble any evidence of physical or emotional abuse of yourself, the children, your spouse, or any other person relevant to your family or the divorce. This can include photos of bruises, medical records for doctors’ visits, or police incident reports. 7. Other adults. Obtain any evidence of the character and behavior of any other person who resides in or frequents the home of a parent and such person’s interactions with the children. Examples may include embarrassing Facebook photos, Match.com listings, and the other parent’s new boyfriend’s or girlfriend’s arrest records, bankruptcies, and lawsuits. Researching backgrounds in the information age can be remarkably simple and stunningly fruitful. 8. Family calendars. When was that conference in Las Vegas? How many teacher’s conferences or soccer games were missed? Family calendars could well be important sources for documenting events. 9. Homemaker. Documents showing that the stay-at-home parent’s involvement has been important in the children’s lives could be relevant. Should one parent stay at home with the children instead of working? Do any of the children have special needs? Is a religious education important? Have there been periods of home schooling? In summation, it generally is a good idea to provide your attorney with as many records as quickly as possible early in the divorce process. When it comes to your attorney having the documents described above, there is no such thing as too much or too soon. 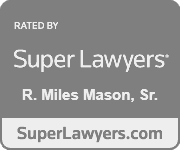 Miles Mason, Sr., JD, CPA, practices family law in Memphis, Tennessee. He is the author of The Forensic Accounting Deskbook: A Practical Guide to Financial Investigation and Analysis for Family Lawyers, published by the American Bar Association. For more information about his firm, go to www.MemphisDivorce.com.